BGS students are invited to attend, “Inclusion and Diversity: Perspectives from Business,” the next installment in the BGS Professional Skills Series. 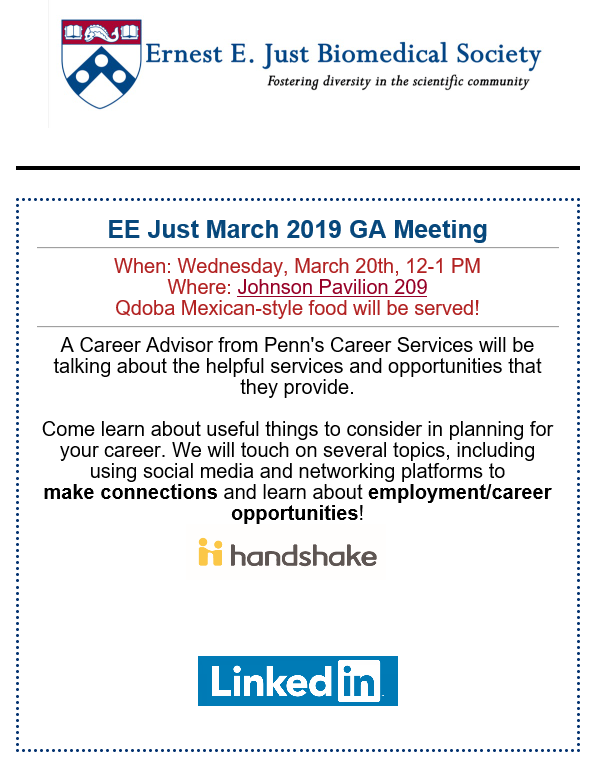 The workshop will take place February 27, 2019 from 4 – 5:30 PM in Smilow 12-146AB. 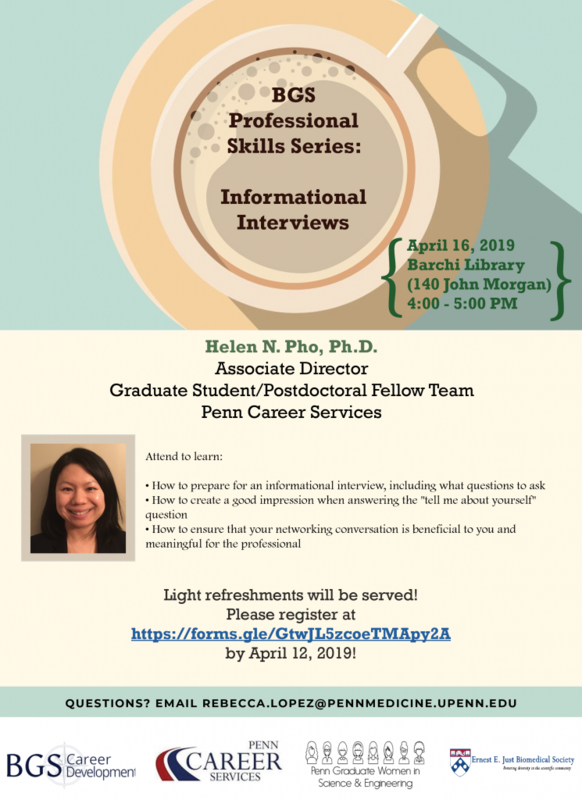 It is co-hosted by SACNAS and EE Just. 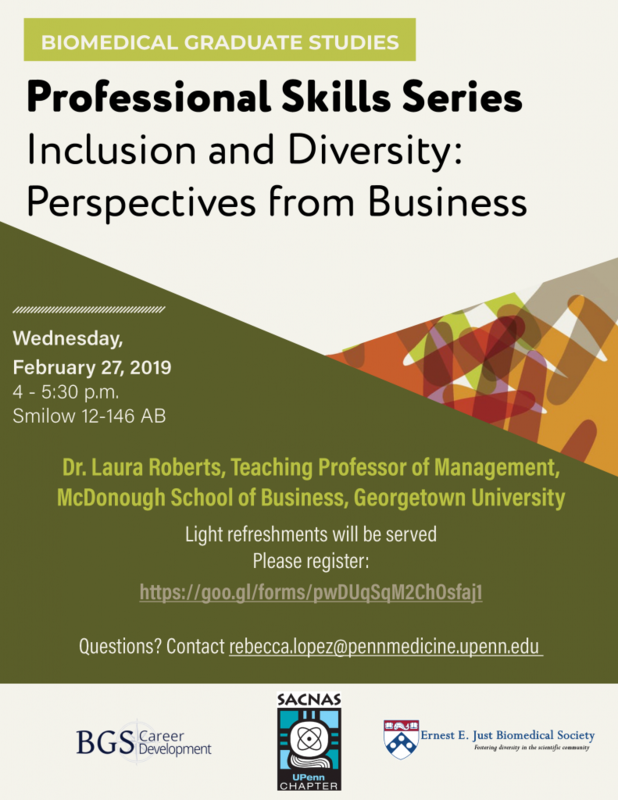 Dr. Laura Roberts, Teaching Professor of Management (McDonough School of Business, Georgetown University) will present an interactive lecture that includes illustrative cases and large group discussion. Dr. Roberts will tackle the question, “How can leaders facilitate generative dialogue that harnesses the power of inquiry, encourages learning from diverse experiences and fuels positive organizing?” Specific strategies for building an asset-based (potential-focused) perspective and an action plan for inclusive leadership will be addressed. If you have any questions, please contact Rebecca Lopez. .
Join the UPenn Ernest E. Just Biomedical Society for their fall seminar series. 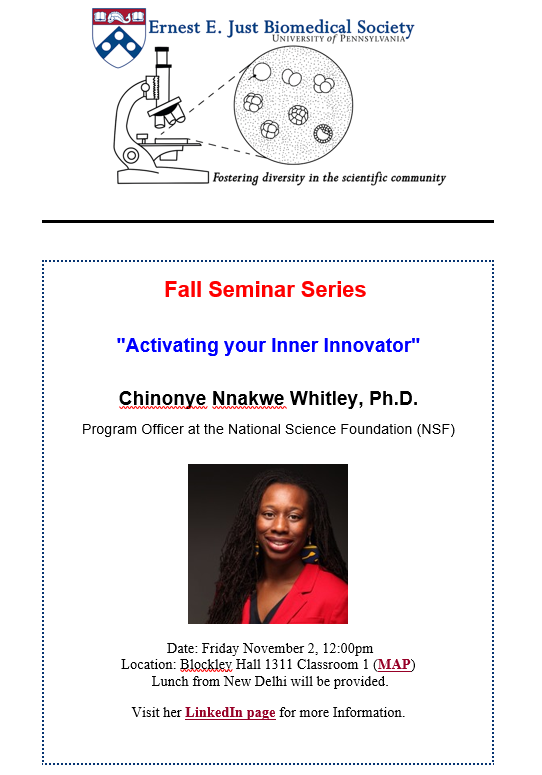 Listen to Dr. Chinonye Nnakwe Whitley share her journey in science. Lunch from New Dehli will be provided. Visit Dr. Whitley’s LinkedIn for more information on her background.